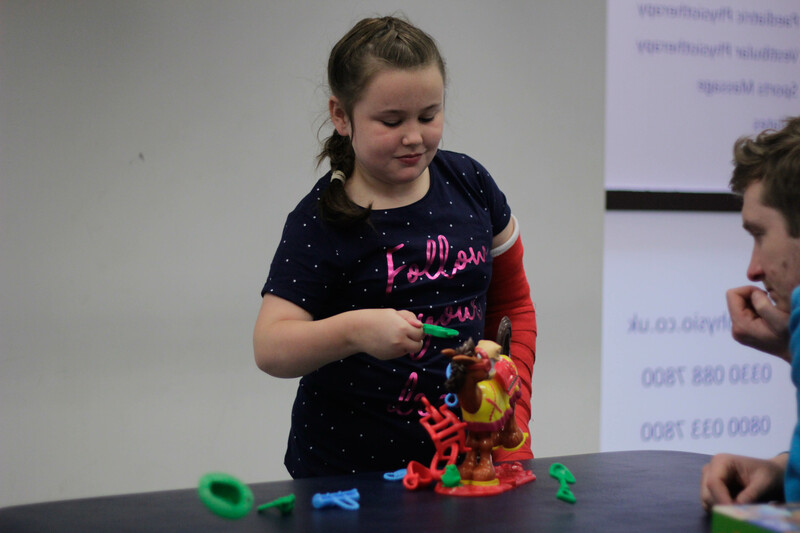 Katie had good functional use of her right arm and hand but due to her neglect and learnt non-use chose to use her dominant arm and hand the majority of the time even when it was more beneficial to use her weaker side. Throughout the 3 weeks we worked together to increase her understanding and awareness of her ability to use her less dominant side. Katie’s main problem was learnt non-use. This is when she always attempts tasks using her stronger side. The learnt non-use arises when these tasks are constantly repeated therefore, the brain forgets how to use the affected side for these tasks and causes pathways in the brain that send messages between the affective arm and the brain to stop working. 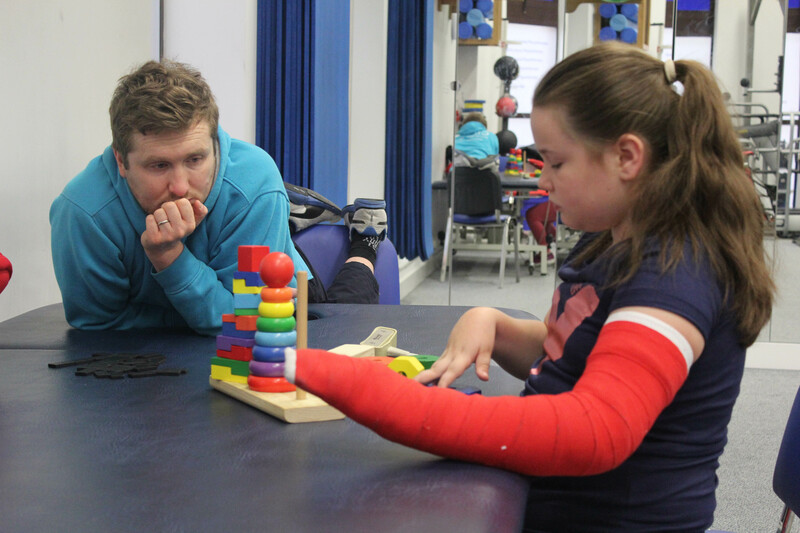 CIMT is a treatment that can help reopen these pathways and combat the effects of learnt non-use. 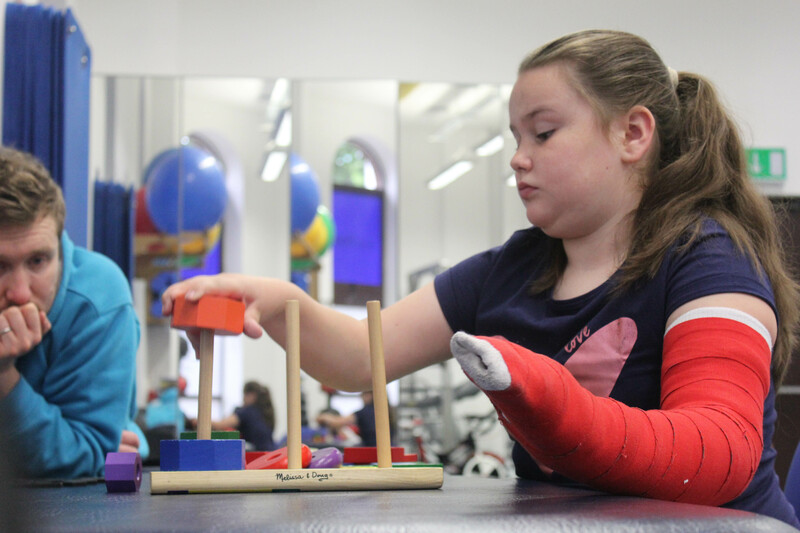 Katie had experienced learnt non-use for a number of years which resulted in a loss of awareness, decreased strength and range of movement led to a reduced function. By casting for 3 weeks and the intense therapy helped to reverse this learnt non-use and create new pathways and connections in the brain. 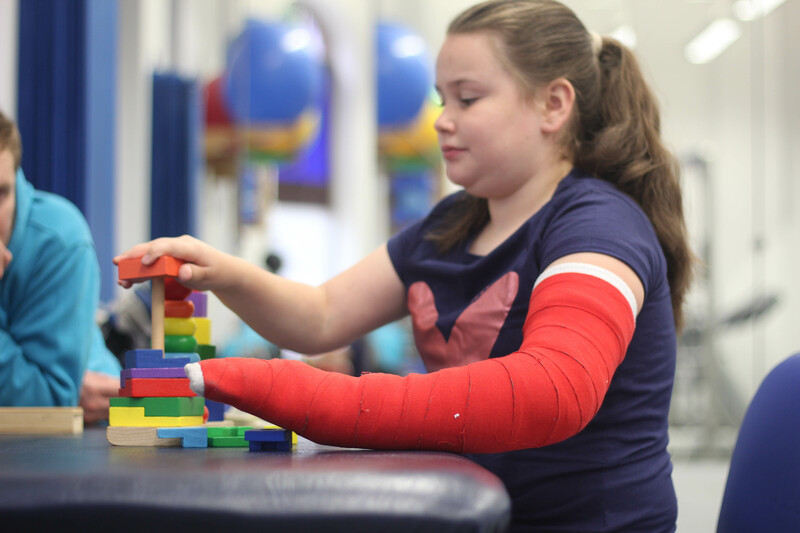 As a result of this Katie increased her the strength, movement and general function of his arm. 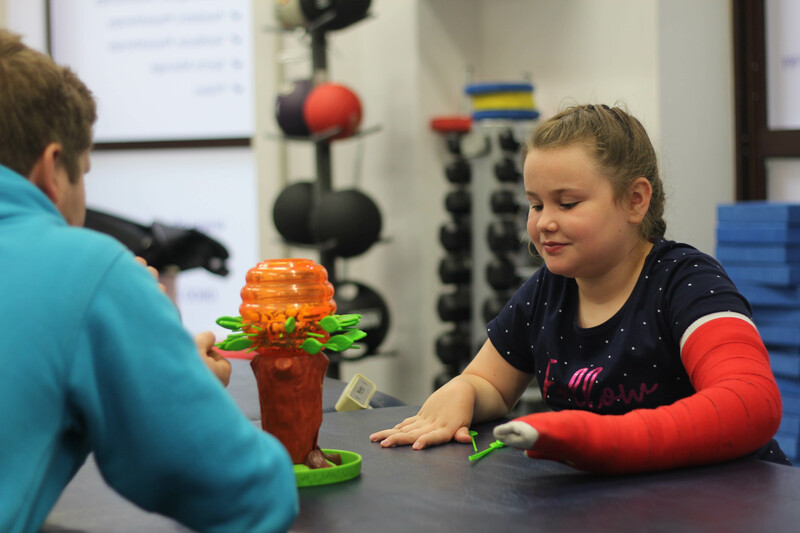 Katie has improved awareness of her right upper limb and now uses it a lot more when it’s beneficial to use. 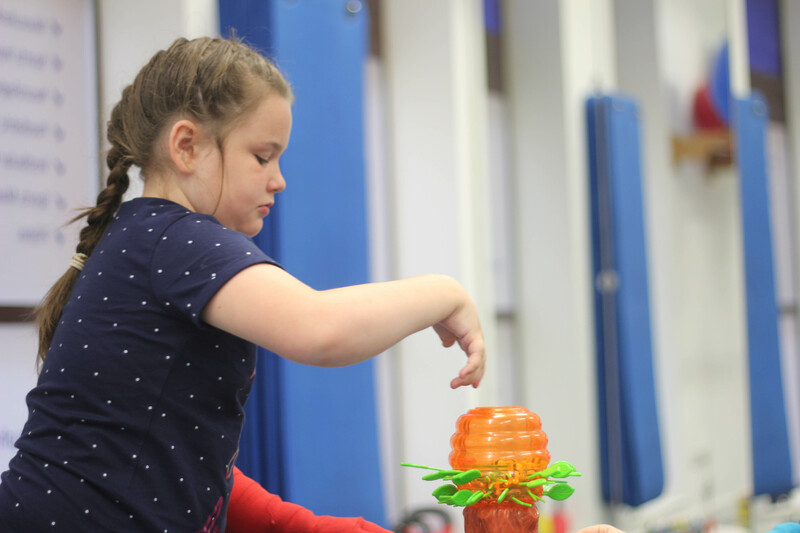 Katie has improved her fine motor skills and precision when completing tasks. Katie can now pick up a variety of objects and hold them in a much larger range. Katie’s coordination improved and she can now easily turn over cards and dominos from a table. I really enjoyed working with Katie especially as she can now beat her mum in Connect 4. 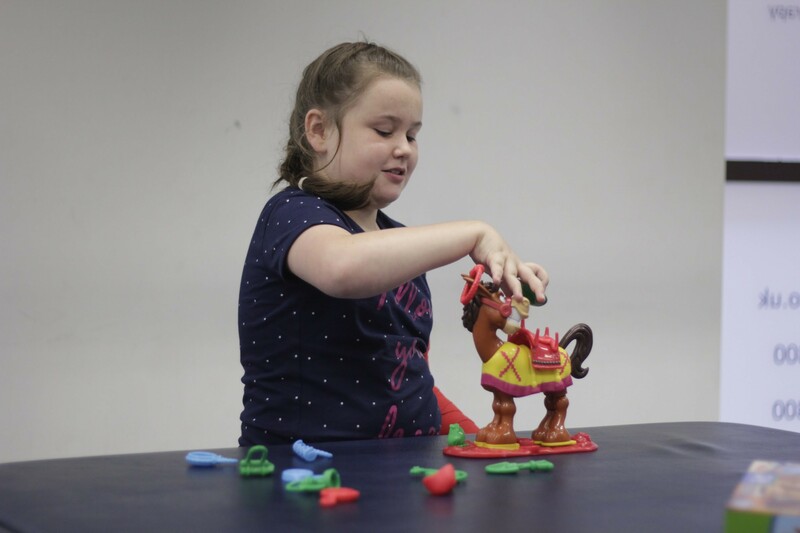 Katie worked really hard in her sessions and her improvements over the 3 weeks were amazing and this allowed her to complete everyday tasks much easier. 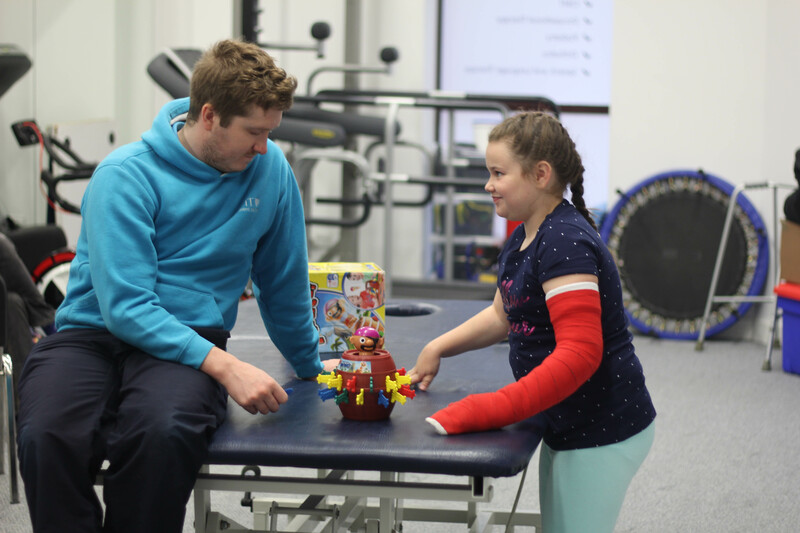 I really enjoyed working with Katie especially as she can now beat her mum in Connect 4.